Perfect for assembling large mechanical units such as patio door inserts or large non-operable units. Perfect for assembling large mechanical units such as patio door inserts or large non-operable units. 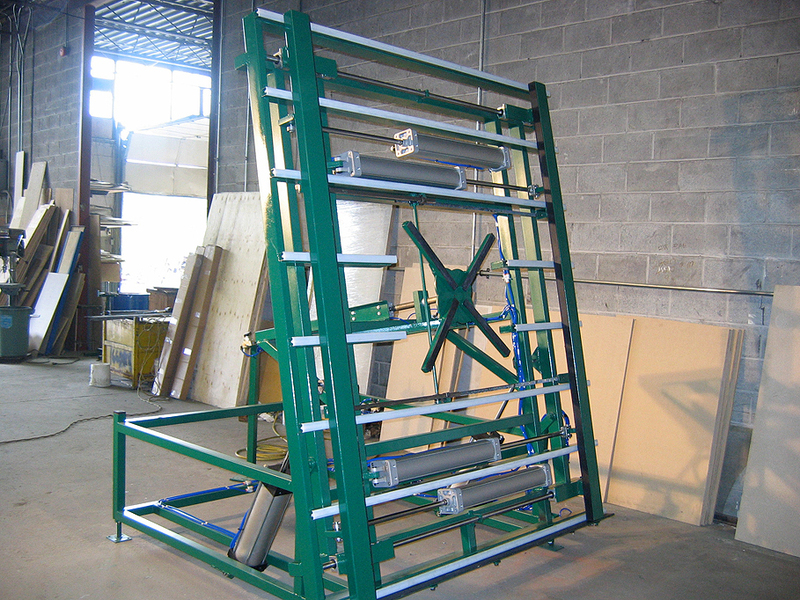 The glass is laid on the rotator in the horizontal position, the rotator lifts and turns for easy application of boot glazing on both the top and bottom. The squaring members then apply pressure to ensure a tight fit. When the operation is complete, the finished product is tilted up to the vertical position and transferred down the line.